. . . was born in 1948, in Isere, France, and competed in F1 from 1978-1989. He beat Tambay to the 1973 F.Renault Championship, and won the F.Super Renault series in 1975. In 1976 he was just beaten to the European F2 title by Jabouille, but won in 1977, and headed for F1. Meanwhile Renault had been struggling with their turbo car for two years. At that time the regulations allowed either 3.0 litre, normally-aspirated, or 1.5 litre turbo-charged engines. Renault’s single entry was the only car on the grid attempting to prove the turbo route was the way to go, and had been quietly failing miserably… recording only four finishes in two years. (perhaps to everyone’s surprise) leading the World Championship… but the cars were less successful later in the year and Arnoux finally finished sixth. Now Ferrari joined the slow swing to turbos, along with Toleman/Hart, and the injured Jabouille was replaced by newcomer, Alain Prost, after his debut season with McLaren had not been to his liking… and he quickly stamped his superiority on Arnoux… They were apparently at each other’s throats from the first race onwards. In a somewhat turbulent year Arnoux finished on the podium just once, and in the points just three times, to finish 9th in the Championship. Prost only finished six times, but with three victories, two 2nd places and one 3rd. For Arnoux ‘the war seemed to be over’, and the battle to be the first French World Champion was possibly starting to rankle him. To give a little background, for non-Frenchmen & women, France had virtually ‘invented’ Grand Prix motor-racing (which is why it’s not called ‘Great Prize’, Gran Premio, Hauptpreis, or even vIpoSmoHmeH tev, [Klingon] – don’t you just love Bing…? ), as well as F1, in 1950, and French drivers were desperate to be crowned Champion. In the 60’s Ligier and Beltoise had tried; the 70’s had provided Cevert, Jarier, Depailler, Jabouille, Laffitte, and Tambay; and finally Pironi and Arnoux who, by 1980 were the only drivers likely to take the laurels… And then, along came Prost. In the same way that Stirling Moss, in the 50’s, preferred to take his successes at the wheel of a British car, the French also yearned for a French Championship Constructor, and only Renault and Ligier were likely to make the grade. The matter came to a head at the 1982 French GP when Arnoux, in the lead, refused to yield his place to Prost, who had a slightly better chance at the Championship (although Prost was lying 5th with just 19 points…), denying there had been a pre-race agreement… Arnoux had started from pole, and dominated the race… and was not in the mould of Barrichello/Massa… Not for Prost, anyway. 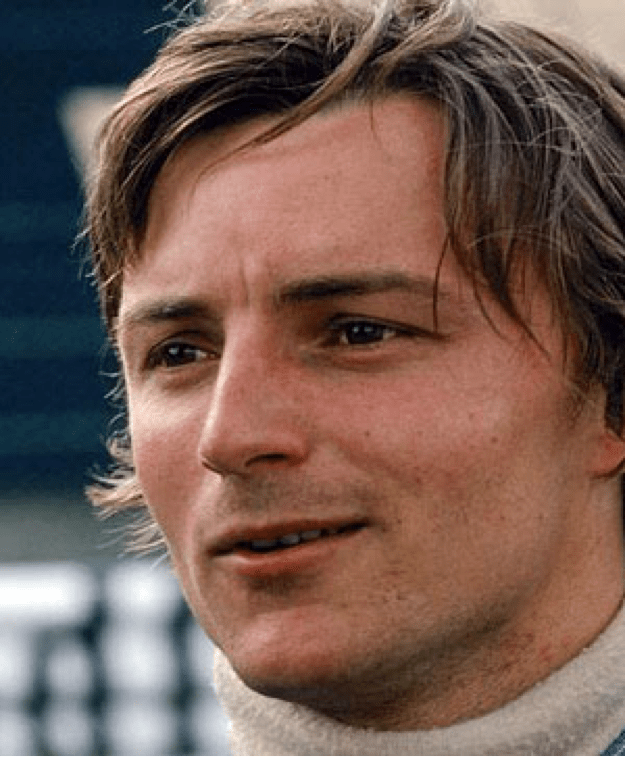 Although at that point in the season Arnoux had just one 3rd place to Prost’s two wins and a 2nd, by year’s end Arnoux and Prost had out-qualified each other 8:8, and each had taken 5 poles… They both won two races apiece, while Arnoux had one second place to Prost’s two… In the three races where they both finished Prost scored 21pts. to Arnoux’s 15. If Prost had taken the win he would have still finished 4th in the Championship, and Arnoux would still have finished 6th. Perhaps it was more, Catch-22 than Multi-21. Perhaps it was more a ‘Prost-order’ than a ‘Team- order’… and perhaps many will sympathise with Arnoux’s attitude. At the end of 1982 Arnoux was probably mightily pleased to receive an offer from Ferrari… after Prost had allegedly informed Renault, one of them had to go. By the time they reached Monza Arnoux had signed Ferrari’s contratto, and went on to win, in front of the two Ferraris which, apparently, the tifosi, knowing Arnoux was to be their new man. whimsically regarded as a Ferrari 1-2-3… With two other podium finishes, Arnoux again finished sixth in the Championship. Also in 1982 Arnoux had one of his more spectacular crashes, when the entire wheel & upright unit came away at more than 200kph as he was braking for the very slow Tarzan at Zandoort. Arnoux hit the tyre barrier and almost took off. At Ferrari Arnoux had a different year, taking four poles, two fastest laps, three wins, and four additional podiums, to place third in the Championship ahead of Tambay, putting Ferrari back on top in the Constructors Championship. With two races to go Prost led Arnoux by just two points. In the penultimate round at Brands Hatch Prost was fourth but Arnoux failed to score but, in the final race both Arnoux and Prost retired and Piquet pipped them both, relinquishing the lead to teammate Ricardo Patrese, to safeguard his own car. Arnoux was now joined by Michele Alboreto who, after three years with Tyrrell (two as No.1), had pulled himself into the No.1 spot at Ferrari to finish third in the Championship, with one win and and three more podiums, with Arnoux back in sixth, with four podiums. Ferrari (57 pts.) lost out to the all-conquering McLarens (143pts.) of Lauda and Prost. Perhaps when the protagonists are no longer with us the story might come out, although it’s bound to then be distorted by time, and myth… but it is a unique (I think) mystery of F1. The FIA also now had a bout of ‘mystery’ by now actually banning ‘atmospheric’ engines altogether… a rule that was then rescinded in 1987 and then… for 1989 they changed their minds completely, and banned turbo-chargers… It put me in mind of British comedian, Tommy Cooper… “Turbo…aspirated. Aspirated…turbo.” The 80’s were like a foreign country – they did things differently then… (with a nod to Thomas Hardy). 1986 also saw the return of Arnoux (otherwise where would this article be…? ), now with Ligier, still full of his old fire… but the Ligiers were not to repeat former glories and, although Arnoux finished in the points six times, to take 10th in the Championship, his next three years with the team were disastrous, mainly because they lost their engine supplier when Renault pulled out, and suffered annually with under-powered and unreliable mills from Megatron, Judd, and Cosworth. seem to be in the mood, but… “…on his day, [he] was as quick as there was. I recall days when his presence in a race went completely unnoticed – but also those, when he was really on his game, that were breathtaking, as at Montreal in 1983, when he simply drove away from everyone.” (Nigel Roebuck, writing in MotorSport). Arnoux had put his Ferrari 1/10th sec. ahead of Prost on pole, and finished 42 secs. ahead of Eddie Cheever’s 2nd place Renault. At the final event of 1989, in Australia, Arnoux announced his retirement, at the age of 41… After dry practice and qualifying, rain arrived before the race-start and the teams were given 30 mins. to reset their cars for the treacherous conditions, during which Arnoux was second fastest behind Ayrton. The race itself was a total organisational shambles and is best forgotten. 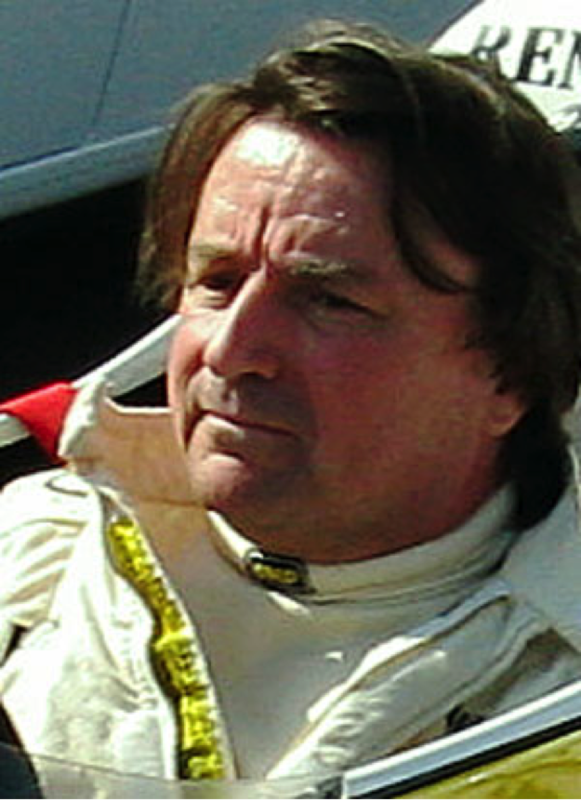 Arnoux ended his twelve-year career with a tally of eighteen pole positions – more than any other non- Championship-winning driver. In his retirement the ever-quiet, and usually enigmatic, René Arnoux also had a couple of appearances at Le Mans, commented for RaiTV, and did ice-racing with Laffite, but is perhaps most ‘famous’, though mostly unknown, for being the ‘A’ in the DAMS F3000 and sportscar teams, with Jean-paul Driot. He also set up four kart circuits in France, and owns two factories. He currently lives in Paris, has maintained good relations with Renault and is frequently called to demonstrate, and race, one of the Renault turbos in historical events. Good one Blackjack, thanks. The story made me recall Andrea de Cesiris’ nickname in the day – Andrea de Chrasheris, for a good reason. Good times; the video is one of my favorites. While we’re on the subject of old memories, I was at the 1982 Detroit GP with press passes and up in the box got in a discussion with an English journalist (don’t know who it was). He asked me who I thought would win and I when told him John Watson, who was starting 17th, he mocked me! Mocked me, I say! Watson won. He couldn’t believe it. HA! I think I’ve thought of Webber as sort of the newer Watson. Webber = Watson… Interesting, never thought of that before… Thanks. Actually the rules allowed – normally-aspirated, or 1.5 litre SUPER-charged engines. The word turbo was not in the regulations. A point made clear on many occasions by Ken Tyrrell in his objections about the Renault turbo engine. These objections were of course primarily because he had been told that he would get these turbo engines. And the P 34 six-wheeler was originally designed for them. Then at the last minute Renault reneged on the deal …..
Echo Steve’s sentiment BJ, good one thank you. Hell time flies, I hadn’t realised it was that long ago one of my favourites retired from the sport. In his later years driving, I always felt he was maligned by many commentators/writers. A great feature BJF. Some heavy research no doubt but beautiful wordsmanship. A fascinating little man – I met him at Goodwood a few years back and totally unaffected by fame. I loved the battle with Villeneuve and then his ignoring Prost and Renault, which to me was what Formula One should be all about – non-political. As you say, the 82 Italian GP, we had Arnoux, Andretti and Tambay on the podium. Not the correct order but we accepted it. I’m catching up with them in reverse order, time has been short!